I’ve been watching and enjoying Emily Lakdawalla’s image processing tutorials and realized I need to just start playing around with images myself. So here’s a start. 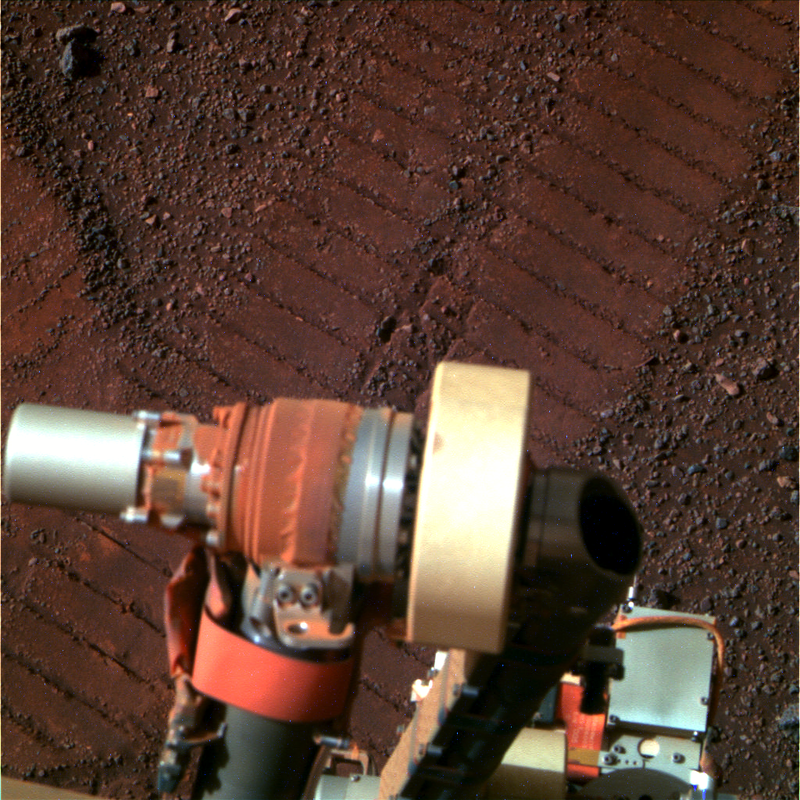 This is an enhanced-color image from Opportunity’s Pancam camera on Sol 3244, looking at her recent tracks overlaying her tracks from 180 sols beforehand. I combined images from Oppy’s L2, L5, and L7 filters (a common combination for Oppy’s science images). I also adjusted the channel levels individually because of the histogram stretching applied to raw images. The original composed image was very blue. I love seeing the red dust is on Oppy’s arm. It reminds me of the end of this poem. Graphic designer, jewelry artist, writer, and all-around creative. Aspiring visual science communicator and space advocate. This entry was posted in Image Processing, Mars and tagged image processing, mars, mer, opportunity, rover. Bookmark the permalink.